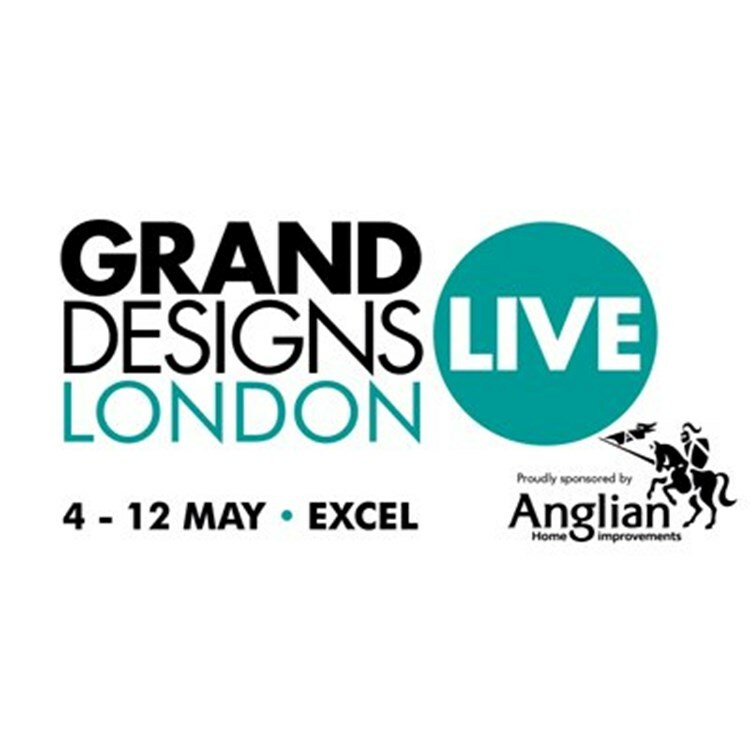 From the 4th – 12th May 2019, London ExCeL will play host to Grand Designs Live; bringing the height of home and design innovation to London for the 14th year running. As Grand Designs the TV series turns 20 in April 2019, the show will be celebrating with fun and exciting features focused around past and present houses, and their owners. In line with its green agenda, Grands Design Live will work with returning Charity partner for 2019, Friends of The Earth, launching the brand-new movement the ‘Green Finger Campaign’. A Wildlife forest will be created at Grand Designs Live to show visitors how and where to create wildlife friendly environments in whatever outdoor space they have to work with, from a 7 acre plot to a 5sm balcony. Visitors will be invited to take regional specific wildflower seeds away with them to plant and create their own wildlife friendly environment ; then print their fingerprint on a map of the UK to indicate where they live; producing a visual and interactive heat map of where people are supporting the cause. Friends of The Earth will also provide interactive workshops and demonstrations throughout the show, including the construction of wildlife hotels. Grand Designs Live will continue to support their initiative, as launched in May 2018, to reduce the usage of single-use plastics at the show; prohibiting the sale of plastic bottles from all in-show catering points along with the distribution of plastic straws. Plastic cutlery and show goody bags have been replaced with biodegradable alternatives. Visitors to the show will be encouraged to use refillable bottles and water points at the show’s cafes. Eco-minded visitors will also find an all-new area of the show focused on the art of upcycling; showcasing a platform for skilled upcycling designers to give insight into their craft. Also not to be missed is the new interiors feature – The Under the Stairs Project, which will see eight interior designers showcase bespoke installations, using a commonly neglected area in the home, the space under the stairs, giving visitors the opportunity to browse and pick up inspirations for their own mini grand designs. Judges for this exciting new competition will include Kevin McCloud and Jenny Gibbs from the KLC School of Design. Established favourites such as Kevin’s Green Heroes will showcase the most ground-breaking and eco-friendly products on the market, and the popular Ask An Expert will return alongside a host of inspiring and informative seminars at The Grand Theatre, which will be compered for 2019 by Property Expert and TV Presenter Kunle Barker, and offer visitors the opportunity to consult and hear from specialists across a range of home-improvement areas, from finance, to architecture, design as well as totally unique talks such as ‘Kevin’s top 20 from 20’; covering Kevin’s top 20 houses from his 20 years of Grand Designs on TV. As part of the linking between Grand Designs Live and National Custom and Self Build Week, talks and an expert clinic focusing on Self-Build will take place on the weekdays, including topics themed around ‘Busting the myths of Self-Build’. Grand Designs Live feels strongly that supporting this initiative is important as the UK has a much lower rate of self-building than other European countries. The self-build sector currently accounts for between 7-10% of completions in the UK, while in Austria it accounts for around 80%. Evidence suggests that 53% of people in the UK would consider building their own home given the opportunity. NaCSBA and Grand Designs Live will also hold a parliamentary reception on Tuesday 7th May from 7pm in The Houses of Parliament. This invitation-only event will be hosted by the All-Party Parliamentary Group on Self-Build, Custom & Community Housebuilding & Placemaking with the likes of The Housing Minister Kit Malthouse, Richard Bacon MP and Kevin McCloud will be in attendance. Grand Designs Live would encourage the public to get involve with this exclusive event by submitting questions to the event panel through Grand Designs Live social media or email via [email protected].